I recently launched my new website at www.DebKarash.com. Please look for me there and sign up for my newsletter. I’ll keep you appraised of special shows, workshops, and sales. June 5,6 & 7 TRAC Studio Tour, open studio in Bakersville, NC with guest artists David Trophia, John Lara, Val Schnaufer, and Anna Johnson. Friday 12-5, Saturday 10-5, Sunday 10-5. June 19-22 Workshop- Flat to Fabulous, in my personal studio in Bakersville, NC, located in the beautiful mountains of NC about an hour from Asheville, NC, one of the country’s most popular cities. July 28 & 29 Workshop- 2 day Fabrication Boot Camp in my personal studio in Bakersville, NC, located in the beautiful mountains of NC, about an hour from Asheville, NC, one of the country’s most popular cities. 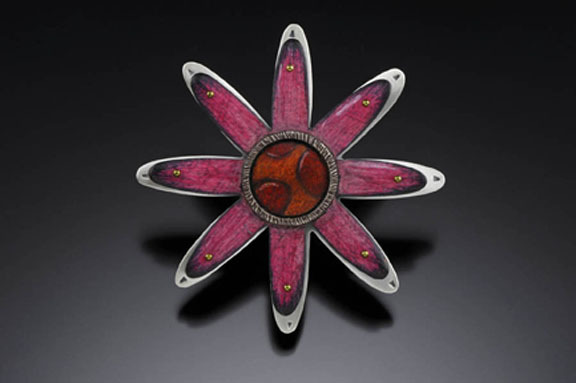 September 21-25 – 5-5-10 (5 days, 5 projects, 10 techniques) This fun, fast paced class will focus on fabrication techniques, creating surface interest and volume, connection techniques, and finishing. All levels welcome. 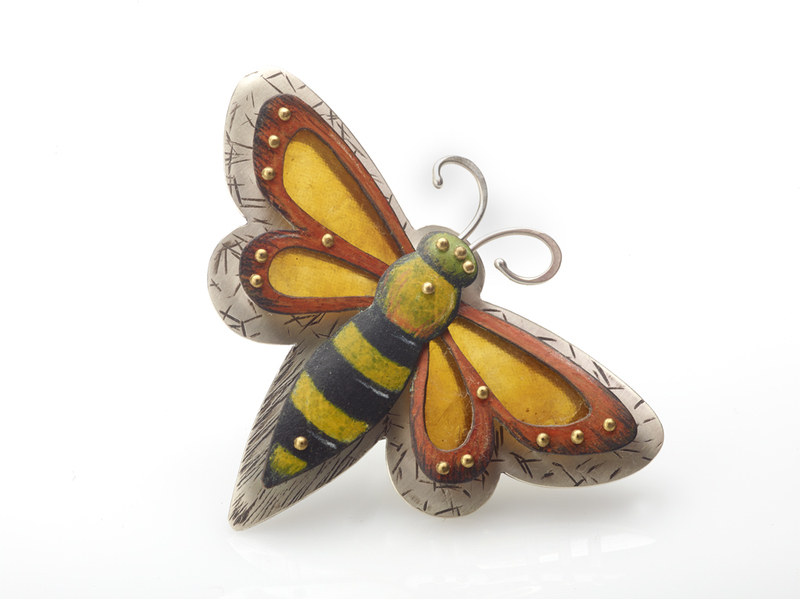 I’m getting excited about my fall workshops! I love teaching and it’s always exciting to meet new students. These will be the last workshops in Bakersville. After that I will be moving the studio to Asheville. 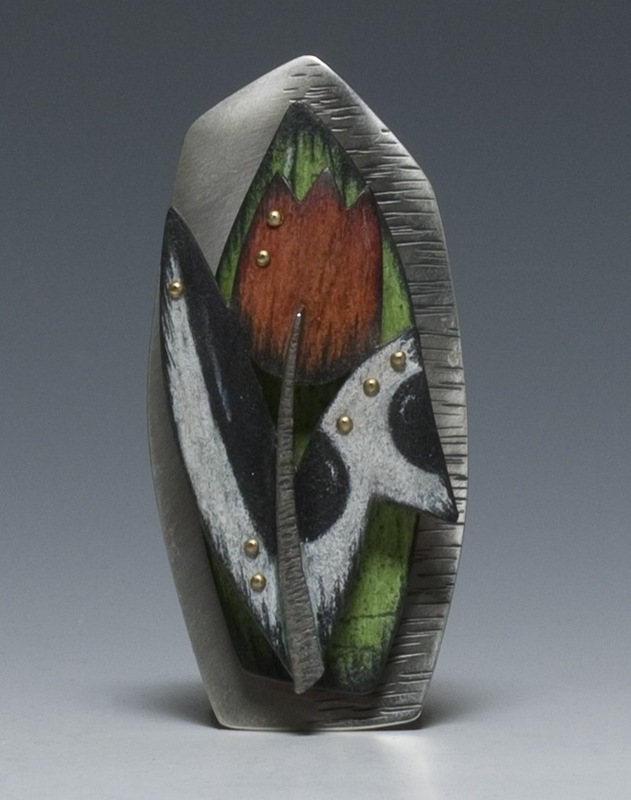 The October workshop at Wild Acres is such a great deal. You not only get the workshop but you also get food and lodging in a beautiful location at the very best time of year. It’s really such a privilege to be able to run a workshop there. I hope to see some new faces and some familiar ones, as well. 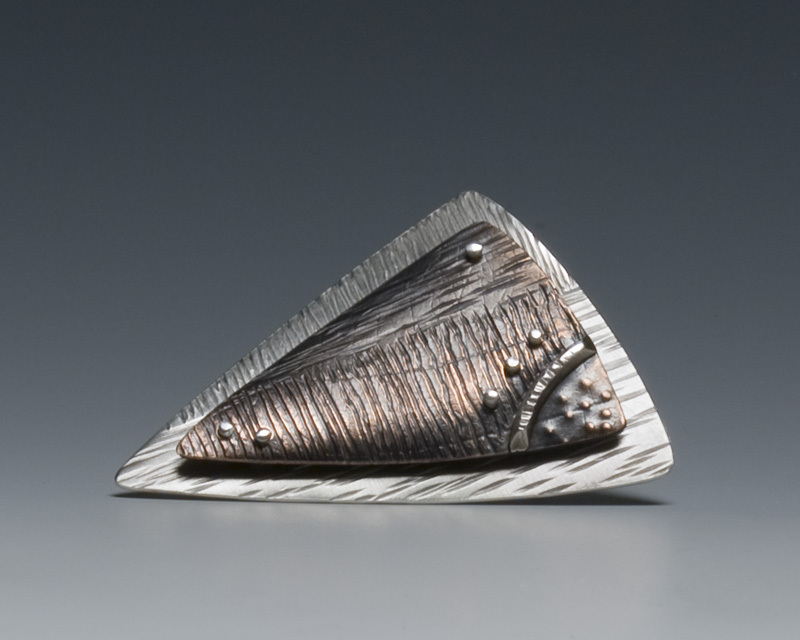 And thanks, Art Jewelry Magazine, for including this piece in the new Making Metal Jewelry! For those considering a class with me, the colored pencil technique in the magazine is not my technique, in case you were wondering. 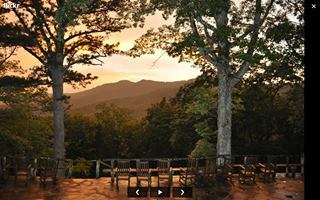 $975.00 All food and lodging included in a beautiful mountain retreat. 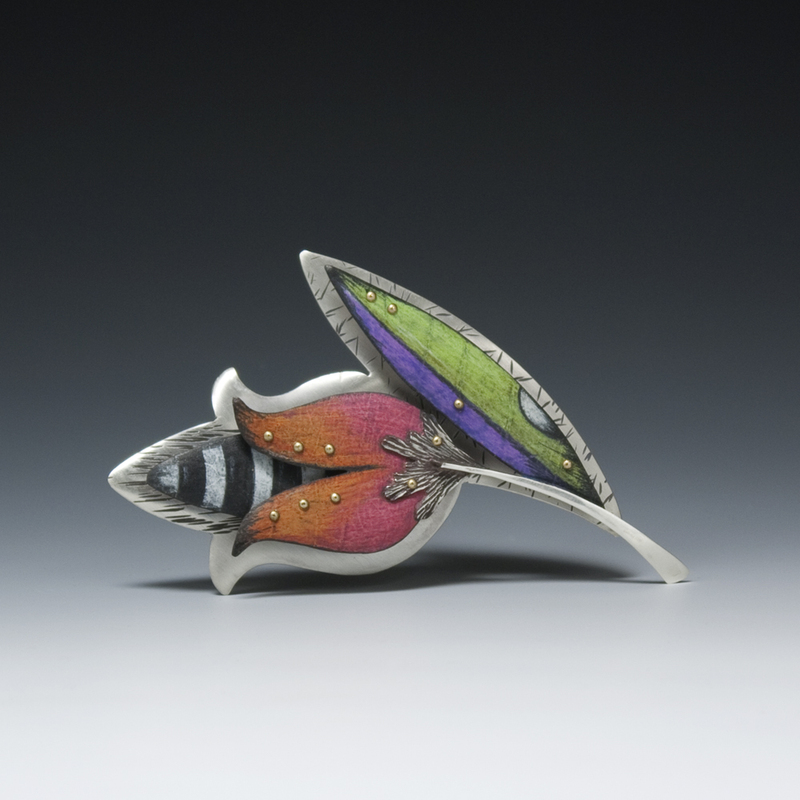 Students will learn how to apply my Prismacolor Drawing technique to jewelry. You need not have any drawing experience to get a lot from the class. Class size limited to 12, e-mail dkjewelry@msn.com for registration details. Sun. 9:30- 2 – clean up studio – optional dinner at Pizza Shop in Spruce Pine. 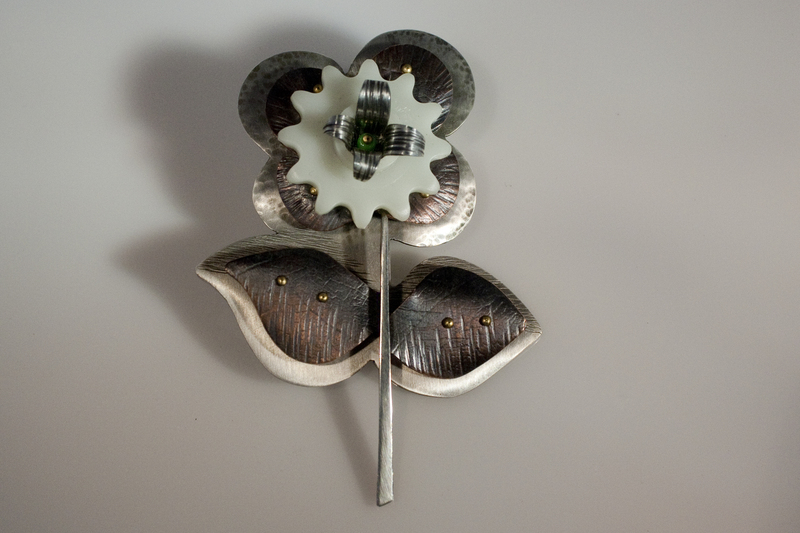 Pin Me, fabrication class, November 6-9, 2014 at my studio in Bakersville, NC. Take your jewelry to the next level. 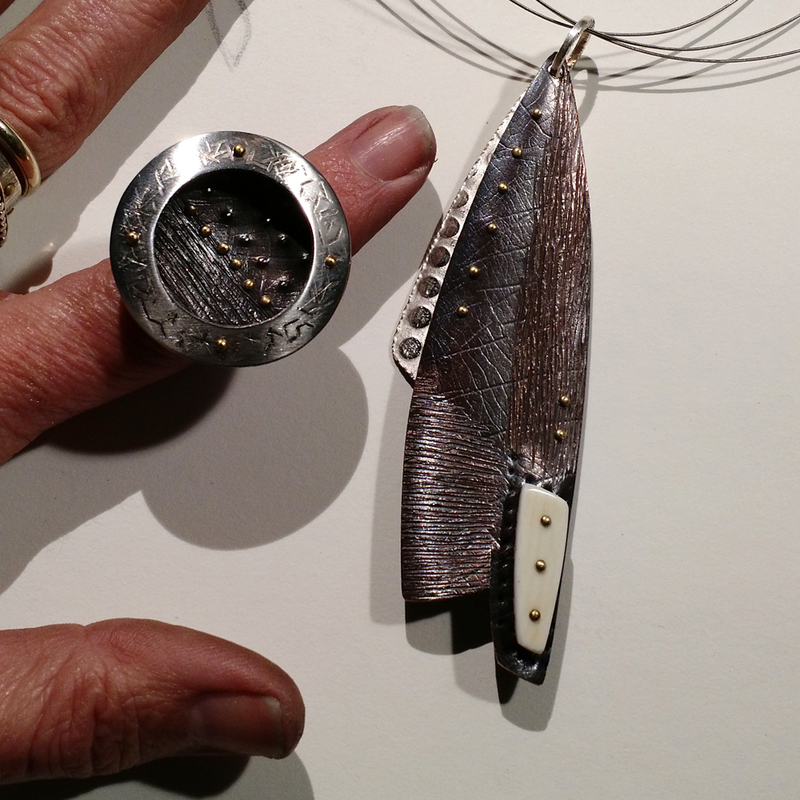 We will cover texture, proper application of commercial pin findings, rivets, and paste solder. I will show you simple ways to create a more professional looking piece. $425.00 – Includes lunch and an after school cocktail each evening. Class is limited to 6 students so there is ample time for individual attention. It’s a great class for beginning to intermediate students. E-mail dkjewelry@msn.com for registration details. $750.00 Includes lunch and an after school cocktail each evening. 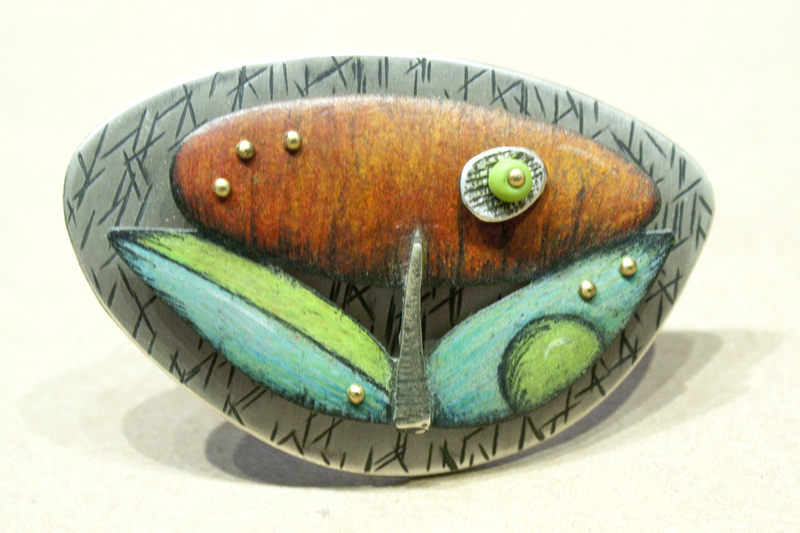 Students will learn how to apply my Prismacolor Drawing technique to jewelry and other metal work. You need not have any drawing experience to enjoy this class. Class is limited to 8 students so there is ample time for individual attention. E-mail dkjewelry@msn.com for registration details. Class runs from 10 AM to 6 PM, Monday through Friday. I’m working on planning fall workshops and I will be announcing at least one Drawing on Metal workshop and one fabrication workshop in the next few days so stay tuned! Class size will be limited and there were a few folks who waited too long to sign up for the Drawing on Metal workshop at Wild Acres and missed out. Also, I will tell you all about my trip to San Francisco for the ACC show. 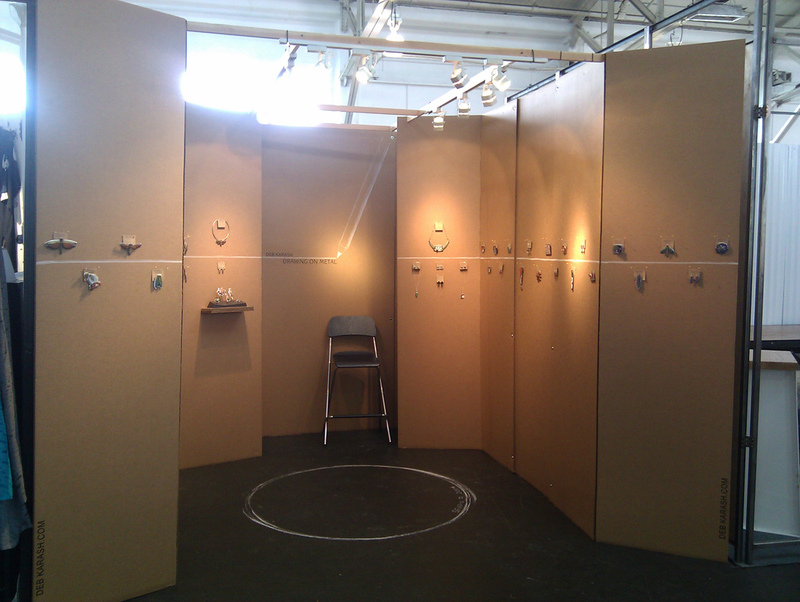 Here is a pic of the cardboard booth we built on site. It was a big hit. 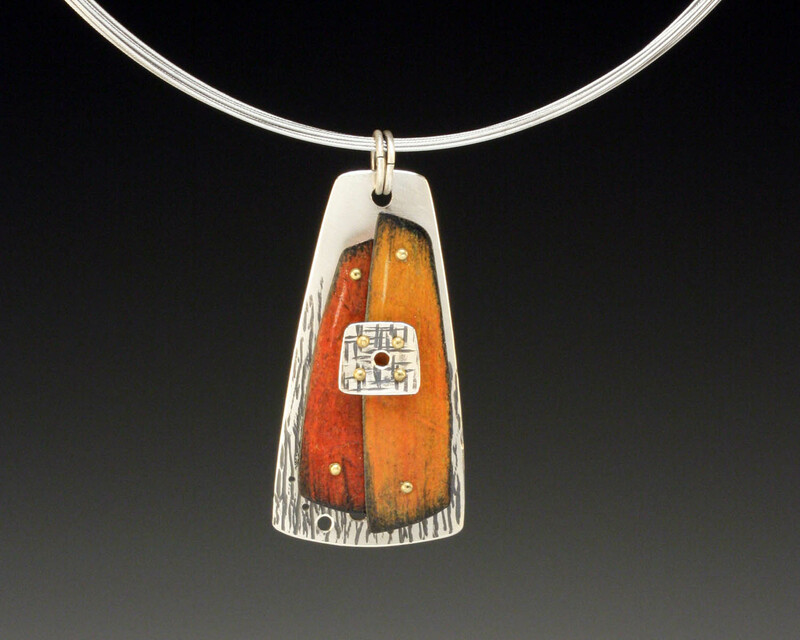 This weekend is the Toe River Arts Council studio tour. It’s a great opportunity to visit your favorite artists in their studios and discover new artists, as well. 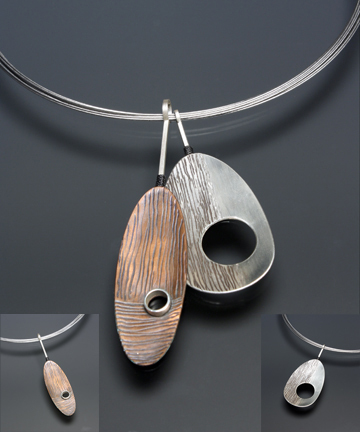 I will be in my studio at 60 S. Mitchell Ave in downtown Bakersville along with David Trophia jewelry, John Lara jewelry, and Valerie Schnaufer ceramics. We’ll be having a good time and we hope that you can stop by for cocktail and see our new work. The studio will be open Friday, June 6 from 12-4, Saturday 10-6, and Sunday 12-5. Our number on the tour map is 35. It’s the bright blue building. 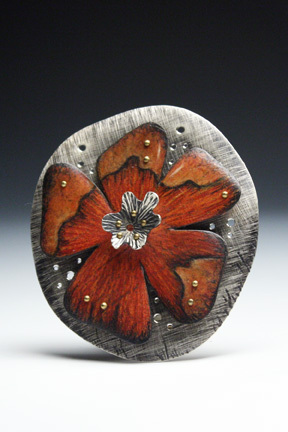 It looks like there are only 2 spots left in the Drawing on Metal class in July at beautiful Wild Acres Retreat. E-mail me at dkjewelry@msn.com for a registration form. I will also create a waiting list for a possible class in the fall. Join us in the beautiful Blue Ridge Mountains of Western North Carolina. You will find that Wild Acres Retreat is a special place for getting in touch with your creativity.